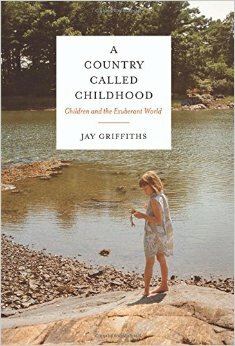 Jay Griffiths talks about her book, A Country Called Childhood: Children and the Exuberant World (Counterpoint, November 2014.) It’s a powerful plea to nourish children’s independence and reconnect them with nature. Why are so many children so unhappy? The incidence of mental disorders among children is soaring. And, while it’d not clear exactly why that is, it seems intuitive at least that the social pressures kids are subject to are at least part of the picture: too much homework, not enough time to daydream; too much scheduling, not enough time to explore on one’s own; too many screens, not enough trees. And just maybe, too much meddling by well-meaning anxious parents and not enough benign neglect. Writer Jay Griffiths says the modern world has enclosed the enchanted territory of childhood, subjecting kids to top-down control that prevents them from truly experiencing the world and developing a healthy sense of self. Children have lost the ability to roam, to explore their neighborhoods with friends or climb a favorite tree for some solitary communing with nature. Jay Griffiths is the author of several books, including Wild: An Elemental Journey and Savage Grace, published in the UK and forthcoming in the US. And view this clip of Laura Dekker talking about her solo circumnavigation of the globe at the age of 14. Re: Country Called Childhood – There was a large culture Jay did not observe and that is our own Hippie Culture. Children of the Hippies grew up largely in nature, were home schooled, slept with parents, included in most gatherings, given respect and time to reflect. Hippies were children of the sixties who did not believe in the System, who wanted to go back to the land, to live with basic healthy values, etc. Our Hippies deserve the respect for not swallowing the dominant Capitalistic concept.